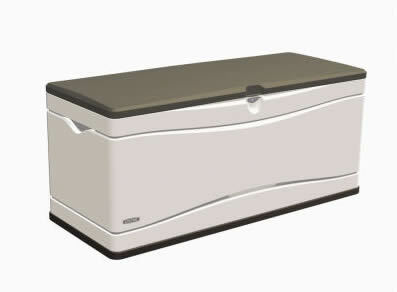 Leisure Solutions sheds offers an excellent solution for keeping your trash cans secured from animals! Pre-stained wood! 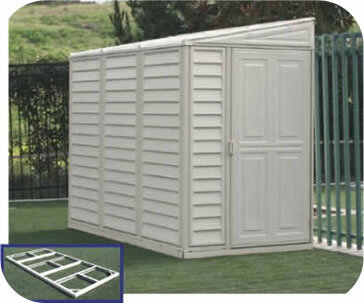 Our new outdoor storage shed / waste center from Leisure Solutions combines function with fashion to keep trash and recycling bins organized. 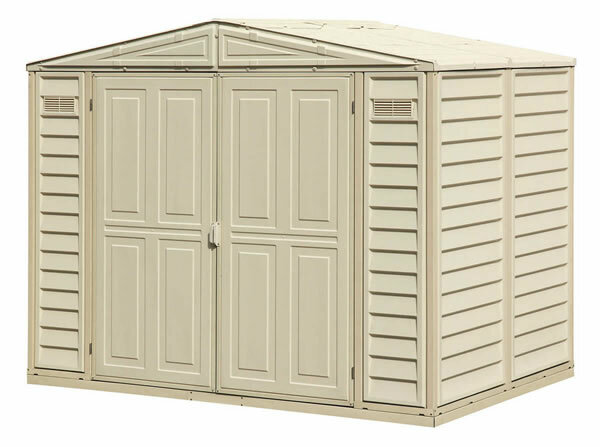 Our shed / recycle center is crafted of solid wood harvested from the Cypress tree family with decay resistance similar to Western Red Cedar lumber. 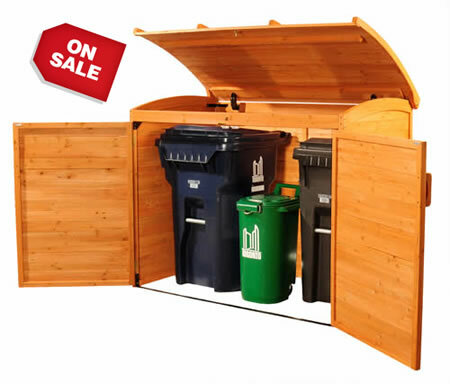 Made with a tongue and groove construction for easy do-it-yourself assembly our trash center goes up in a flash. 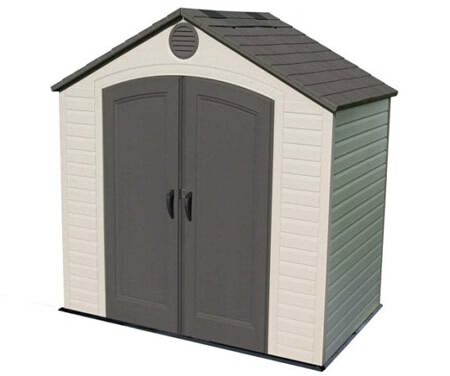 The wood is treated to be moisture resistant for maximum protection from the weather. 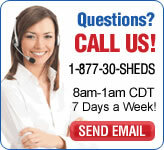 Keep pests out of your trash, get organized and beautify your home. Finished with an acrylic protective coating on the wood for extra brilliance and longevity. 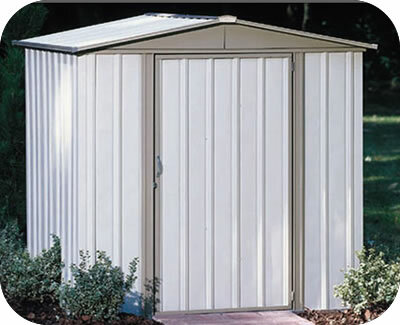 Our trash center shed is pre-stained with a beautiful medium brown color. Our easy-to-follow assembly instructions will help guide you through assembly so you can use the recycle center right away the day you receive it! Note: Due to shipping costs of this item we cannot accept returns. If you have any questions prior to ordering this product, please contact our trained staff, so that we can ensure that you get exactly what you need.